The knowledge of the time of Qiyamah (End of the World) , it has not been given to any angel or Prophet. Nobody besides Allah knows when the final hour is. However certain events are going to take place prior to the coming of the final hour. 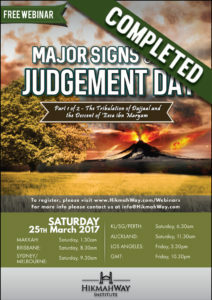 These events are known as the Signs of Qiyamah. All the Prophets informed their people of the signs of the final hour. Our Prophet Muhammad Peace and blessings be upon him being the last and the seal of Prophets, knowing that Doomsday is to come upon this very ummah, explained clearly and in considerable detail the signs of the final hour. This is a 2-part series webinar. 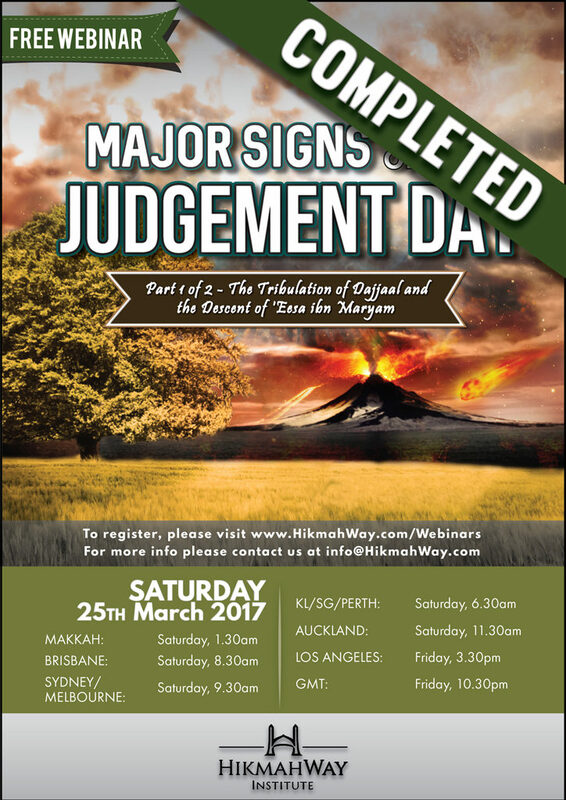 In the first installment of this webinar series, we will look at the major signs of the Day of Judgement, The Tribulation of Dajjaal and the Descent of ‘Eesa ibn Maryam.